NEW YORK – New York’s top court recently upheld the largest affirmed pain and suffering jury verdict in state history: $16 million. Kostantinos Mallas of Georgaklis & Mallas PLLC tried the case for which Steven Bournazos and Dennis Matarangas were the attorneys of record. According to a Georgaklis & Mallas press release “On July 1, 2003, the plaintiff, Christopher Peat, was refinishing a floor in an apartment in the Fordham Hill complex. While applying lacquer on the floor, the pilot light on the kitchen stove ignited the lacquer and engulfed Mr. Peat in flames for over 6½ minutes.” The jury held the complex responsible for the gas not being shut off. Peat suffered second- and third-degree burns on over 50 percent of his body and underwent more than 15 surgeries. And they believed in Peat, whose dreams remain modest after the victory. “He’s not married. He wants a family, but he is happy he can get up and get a glass of water and put his hands out and shake somebody else’s.” He spent six months in a rehab facility re-learning to do things other people don’t give a second thought to. 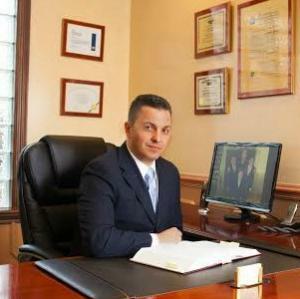 Mallas worked for one large and one small firm after earning BA and law degrees at St. John’s University, before opening the firm with George Georgaklis.